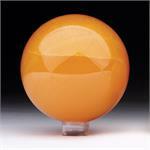 Metaphysical Healing Properties: Orange Calcite helps one mobilize one’s energies and resources for all types of activities, especially those involving creativity and/or sexuality. It is ideal for those who are looking for new and innovative strategies for dealing with long-standing problems or stalled projects. Orange Calcite gets the energy moving and encourages one to see old dilemmas in new ways, so that the solution is right before one’s eyes. 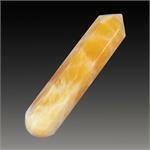 Orange Calcite can be used for healing emotional issues related to wounds to one’s sexuality, creativity and/or will.